The MP116S is a maintenance-free alarm, suitable for houses, apartments and mobile homes in every room, perfect for new or existing installations. The included sealed 10 year battery will never have to be replaced throughout the life of the alarm, giving you a decade of peace of mind. Save Money! 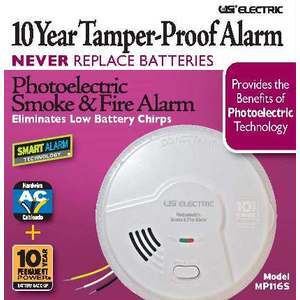 The sealed battery can save up to $38 in replacement batteries over the life of the alarm. 10 year permanent power also eliminates those annoying low battery warning chirps. 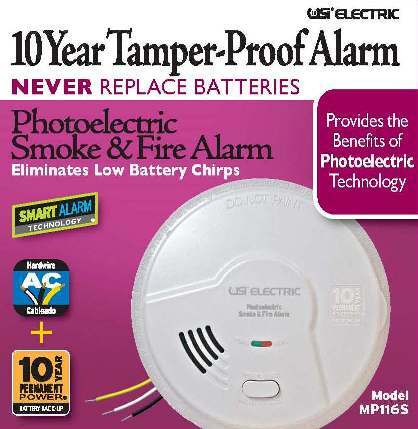 California State Fire Marshal approved MP116S Alarm CSFM listing.